Top Audio and Video Show Milan September 13-16 2012. 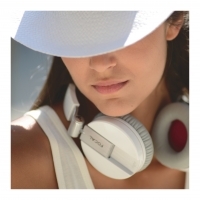 The White Spirit One headphones will be on display and demonstration at this show and available immediately at a Suggested Retail Price of £199. 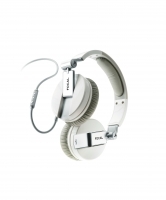 The white Spirit One is launched at a time when EISA have just announced their awards and the Spirit One headphone has won the best mobile headphone category. The Spirit One is swiftly gaining traction in a growing dynamic market and one where fashion is taking its toll on quality and performance. 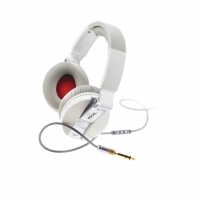 The Spirit One objective of challenging the style of the newer brands but delivering the sound quality, and more, of the older established brands that have struggled to keep pace with the street is being realised and the white variant will increase the pressure on the competition still further. 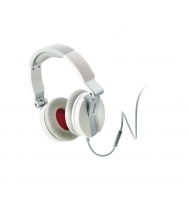 The Spirit One is a lightweight closed back circum-aural headphone designed to be sonically accurate, to keep out most external sounds – extensive research was carried out to find the right balance of controlled external leakage to give emotional reassurance and security – and of course to be truly comfortable for the extended times they might be worn; a transatlantic flight as an example. 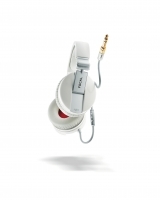 Headphone designers have to balance many parameters – some conflicting – in a desire to produce ‘great sounding cans’ as they would be called in a recording studio. 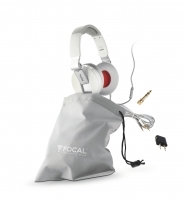 In the opinion of Focal’s R&D team, based in St Etienne central France, far too many headphones available are voiced to sound impressive on first listen with overhyped bass and treble. This performance may be great for a quick listen but it is tiring and ultimately unrewarding over time. The Spirit One is balanced to deliver music as it sounded in the studio. 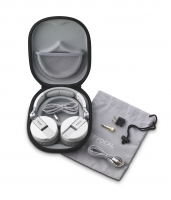 Focal should know; they make the studio monitors on which some of the music has been mixed. 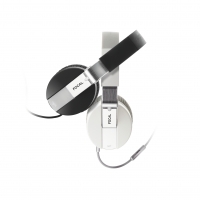 The lightweight (225g) Spirit One is constructed around a headband machined from aircraft grade aluminium. Aluminium is light for its strength, is very durable and unaffected by atmospheric pollution. The drive units themselves are very special. They use neodymium magnets for maximum flux density and very lightweight, but rigid, 40mm mylar/titanium diaphragms to maximise acceleration while being very sensitive, linear and dynamic. Every part of the design was evaluated for performance, the ovoid shape of the outer shells was found to be ideal especially when manufactured from a type of ABS chosen not only for its tactile finish but its inherent self-damping properties. The detachable connecting cord was also important and specified to extremely tight tolerances. 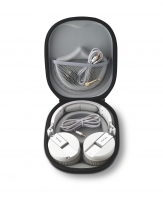 The connecting cord includes an aluminium iPhone, IPad and iPod remote control able to manage all essential functions including calls, volume, play pause, previous or next track. A separate cord is included for those not wishing to use the remote facility. Minijack/jack adapter, airplane connector, soft transport cover, detachable anti-winding cord, detachable iPhone control cord, deluxe rigid storage case.